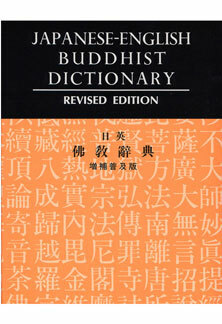 First Japanese-English Buddhist dictionary ever published. Selected and added over two hundred new pages. Also added Chinese-character index in the Japanese-syllabary order. This work will assist one to understand the Buddhist world from its begining. Copyright (C) 2007 Daito Publishing Co., Inc. All rights reserved.